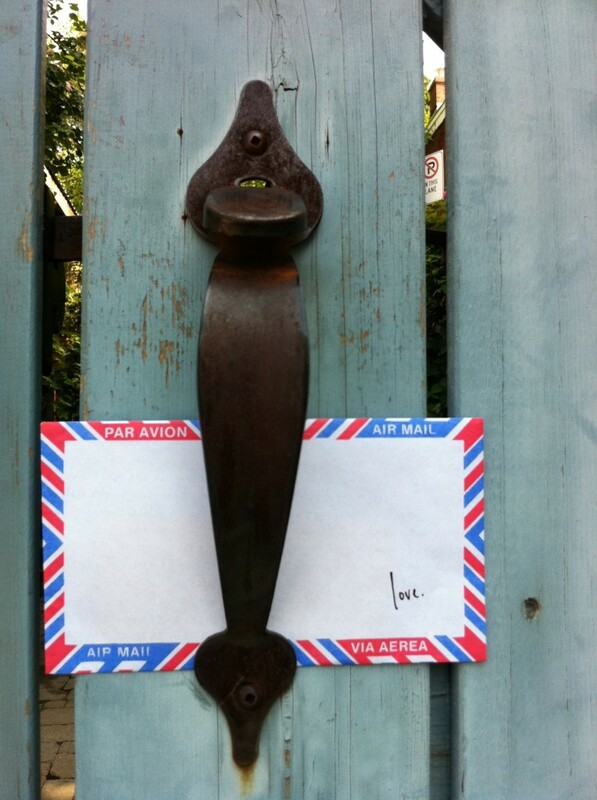 The Love Lettering Project is a community arts project that brings love letters to strangers. Lindsay has been writing love poems, turning them intoone-of-a-kind paper and thread collages and slipping them into air mail envelopes marked ‘love’ for seven years. For photos and Love Lettering Project events, click here!